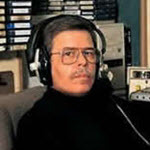 Art Bell Somewhere in Time returns to Oct. 11, 199 when Art spoke with rocket scientist David Adair on UFOs and Area 51. Art Bell: Somewhere in Time returned to 11/26/1998 when spiritual leader, historian and scholar, (the late) Father Charles Moore offered captivating stories, theories, and facts he has uncovered in his travels to ancient and mysterious sites. Art Bell: Somewhere in Time returned to 10/24/96 with an evening of Open Lines including such subjects as polygamy, asteroids and earthquakes. Art Bell: Somewhere in Time returned to 11/9/98 when parapsychologist Dr. Jeffrey Mishlove spoke about dreams, synchronicities, & mystical states. Art Bell Somewhere in Time returned to February 27, 1998 when Art’s guest was New York Times Best selling author Gregg Braden who spoke about Science, Religion and Spirituality.